Benefit from the perspectives of nine management experts and bestselling authors, each with a unique viewpoint on becoming the most effective manager for your company. 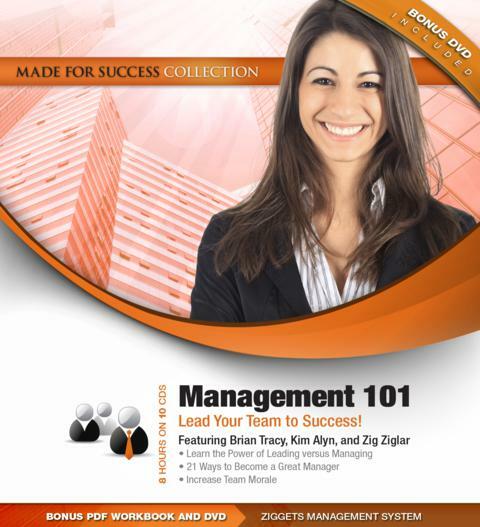 With these perspectives on twenty-first century management, your team will get recognized and promoted by top management faster than ever before. High-performing teams with great morale do not happen by accident, nor are they the result of your charisma. It takes systems, processes, and the ability to motivate the team to generate the mindset to go the extra mile for your company. With expert training, your success is guaranteed in today’s business climate of double digit quarterly earnings growth, KPI management, and the soft skills of expert management. Like a management retreat in a box, this program brings the collective expertise of a $100,000 training seminar into the front seat of your car for about the price of a business lunch.